The renowned Yanmar YH series of diesel-powered commercial and industrial three phase generators has been expanded with five new single phase four pole (1500rpm) models, ideal for a wider range of settings – including residential. Like their premium quality three phase YH series counterparts, the new single phase four pole YH series generator sets feature quality, fuel-efficient Yanmar engines manufactured in Japan. The generators are ideal as standby for businesses or households using solar power, plus other uses such as back-up in the case of power cuts or as electricity for those who are unable to access the grid. All models available are, as standard, fully enclosed and sound proofed with industry leading sound attenuation. For example, the new YH220DSLS-5F soundproof model emits only 59db(A) at seven metres. The new single phase four pole (1500rpm) models range from 6-26kVA prime power, with larger high capacity fuel tank bases optional – and all tanks are fully bunded. Technically advanced, the YH series generators remain easy to operate, with user-friendly design and safety features including a turn-key start, digital control panel, rain cap for outdoor use, key-lock fuel access, engine oil drain pump for easy maintenance, emergency shutdown and more. 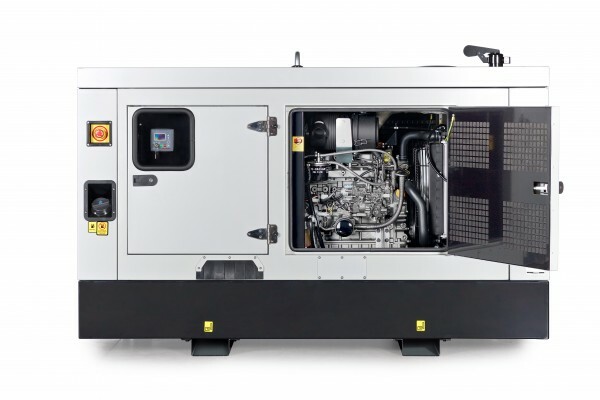 At the heart of the Yanmar YH series of water cooled generators is the world leading Yanmar TNV series engine, a robust Japanese-manufactured workhorse that meets all current Australian non on-highway emission standards. The new YH series single phase four pole (1500rpm) generator sets are available and in stock now, and can be purchased via Power Equipment or its network of authorised dealers. Power Equipment Business Manager, Noel Heritage, said Yanmar units were the gold standard in terms of longevity, reliability and ease of use. “The market has been telling us there’s a need for a quality single phase Yanmar option, and that demand can now be filled,” he said. Since the Yanmar YH three phase series was introduced to Australia at the end of 2011, Yanmar now continues to build on its long heritage and reputation for premium quality, reliability and longevity with the new YH single phase four pole models. Yanmar and exclusive distributor Power Equipment are committed to offering quality Yanmar diesel generators, providing a comprehensive range for all applications from 2.2kva to 62kVa.